As the Founder & CEO of World Advisory, Alexander Johnstone is responsible for managing the company's operations as well as overseeing its growth and direction. Johnstone founded The World Advisory Company in 2010 in Washington, D.C. He began by simply reaching out to small business owners and asking how he could help. He soon found an incredibly under served population of people that want to pursue their passions, but know little about building a business. Over the course of several years, Johnstone personally worked with hundreds of small business owners and listened closely to their concerns. Eventually he developed a personalized and affordable consulting service to help people start and grow businesses. Through Johnstone's guidance and assistance, his clients were able to save time and money, avoid making mistakes, receive expert advice and professional assistance, and have someone there for them in times of need. Many small business owners are self-funded and the assistance available to them has been expensive and unreliable. Johnstone established World Advisory to provide these individuals with the professional help they need without breaking their limited budgets. His goal is for World Advisory to make entrepreneurship more accessible to all individuals and make it easier and more enjoyable for anyone to start and grow a business. 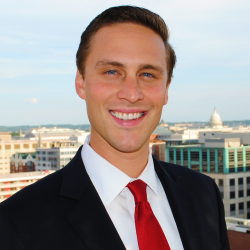 Johnstone graduated from Florida State University, where he serves on the Young Alumni Development Council. He lives in Washington, D.C. with his wife Michelle and their sons Bennett and Henry. You can learn more at AlexanderJohnstone.com.